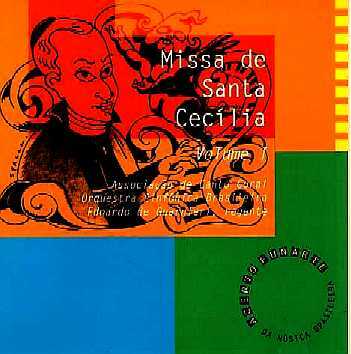 1959, 1980 FUNARTE Missa de Santa Cecília, and Matinas de Finados Associação de Canto Coral, with the Brazilian Symphony Orchestra (mass), conducted by Edoardo de Guarnieri and Betty Antunes playing the organ at the matins (2 CDs). 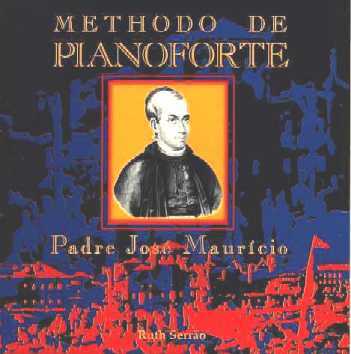 1982 FUNARTE Methodo de Pianoforte, by Ruth Serrão, piano. 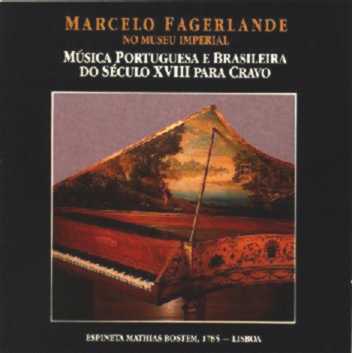 1994 Música portuguesa e brasileira do século XVIII para cravo (18th century portuguese and brazilian pieces for harpsichord), performed by Marcelo Fagerlande. 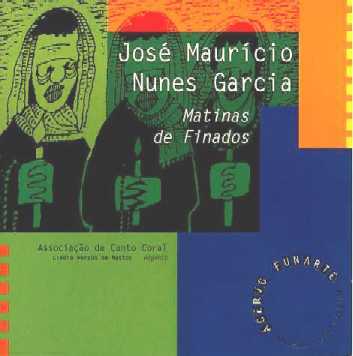 1994 Seminários de Música Pro-Arte José Maurício Nunes Garcia, with Coro de Câmara Pro-Arte, conducted by Carlos Alberto Figueiredo, and Carol McDavit, Clarice Szajnbrun, Deina Melgaço, José Paulo Bernardes, Inácio de Nonno, soloists and Rosana Lanzelotte (organ). 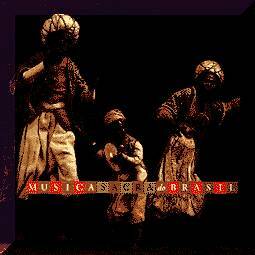 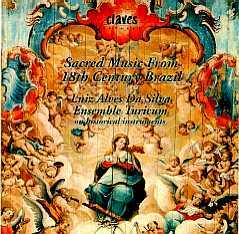 1995 Claves (Switzerland) Sacred Music from 18th Century Brazil, with Ensemble Turicum, conducted by Luiz Alves da Silva. 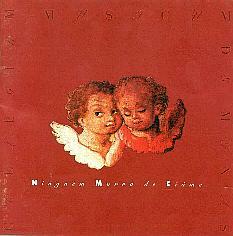 1997 Sonhos & Sons Ninguém Morra de Ciúmes (Let Nobody Die of Jealousy), with Collegium Musicum de Minas. 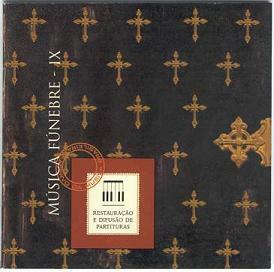 1998 Seminários de Música Pro-Arte Missa de São Pedro de Alcântara, with Coro de Câmara Pro-Arte, conducted by Carlos Alberto Figueiredo, and Carol McDavit, Katya Kazzaz, José Paulo Bernardes, Inácio de Nonno, soloists and Rosana Lanzelotte, organ. 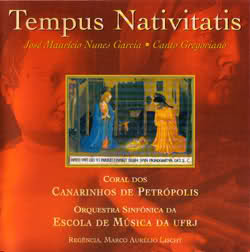 1998 UFRJ Tempus Nativitatis, with Canarinhos de Petrópolis Boys Choir and the UFRJ Symphony Orchestra, conducted by Marco Aurélio Lischt. 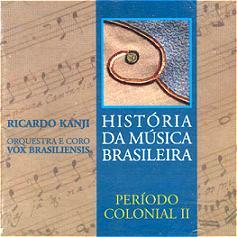 1999 ELDORADO História da Música Brasileira Vols I e II - Período Colonial, (A History of Brazilian Music Disks One and Two - Colonial Period) with choir Vox Brasiliensis, conducted by Ricardo Kanji. 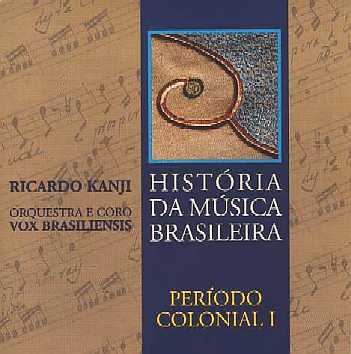 (Sacred Music from Brazil) with choir Vox Brasiliensis, conducted by Ricardo Kanji. 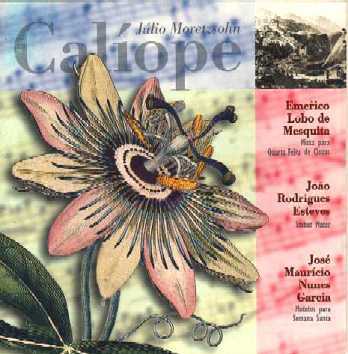 1999 CALÍOPE Calíope, conducted by Júlio Moretzsohn. 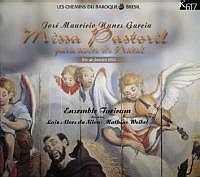 1999 K 617 (France) Missa Pastoril, with Ensemble Turicum, conducted by Luiz Alves da Silva and Mathias Weibel. 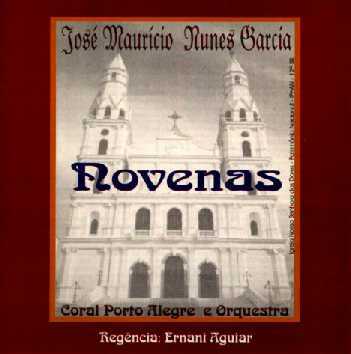 1999 CD+ Novenas, conducted by Ernani Aguiar, with Porto Alegre Choir and Orchestra (choir preparation: Gisa Volkmann), and Ana Luisa Vargas, Márcia Fonseca, Marcos Liesemberg, Pedro Sphor (soloists), and Diego Grendene de Souza (clarinet). 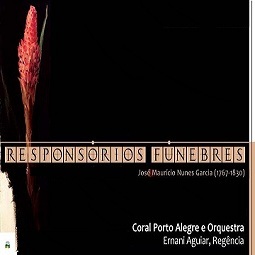 with São Paulo Chamber Choir and Engenho Barroco Orchestra, conducted by Naomi Munakata. 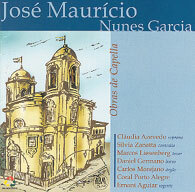 with Calíope Ensemble and Santa Teresa Chamber Orchestra, conducted by Julio Moretzsohn. 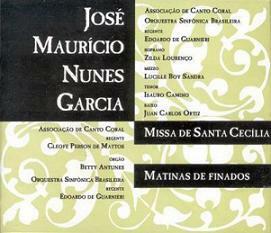 with Choir and Orchestra Domine Maris; soprano: Katya Oliveira; mezzo-soprano: Edinea Pacheco Stikan; tenor: Fabrício Miyakawa; bass (invited): Lício Bruno. 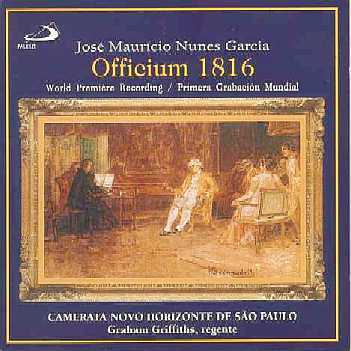 Conductor: Modesto Flávio. 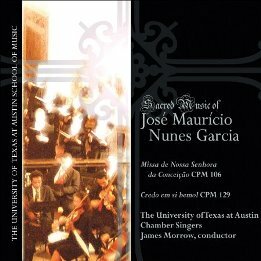 with the University of Texas at Austin Chamber Singers, conducted by James Morrow. 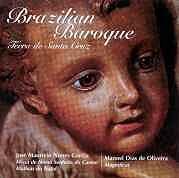 with the National Symphony Orchestra of the UFF, and Brasil Ensemble Choir, directed by Maria José Chevitarese; Carol McDavit, soprano; Luciana Costa e Silva, mezzo-soprano; Marcos Thadeu, tenor; Marcelo Coutinho, bass. 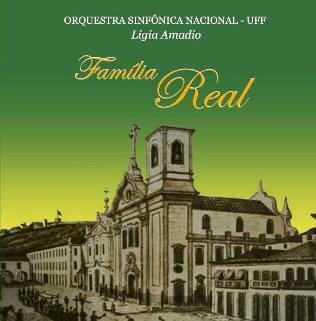 Conducted by Ligia Amadio. 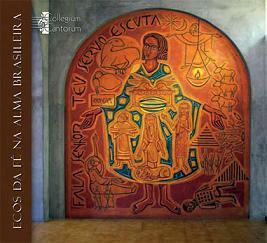 Collegium Cantorum, Conducted by Helma Haller. 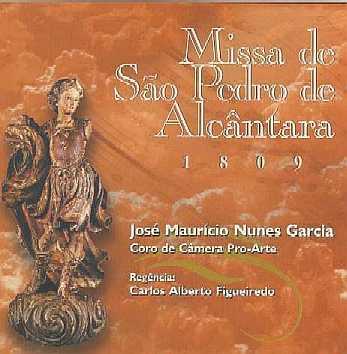 with Coral Porto Alegre, directed by Gisa Volkmann; Cláudia Azevedo, soprano, Silvia Zanatta, contralto, Marcos Liesenberg, tenor, Daniel Germano, bass, and Carlos Morejano, organ. 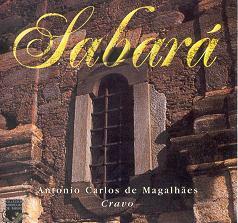 Conducted by Ernani Aguiar. 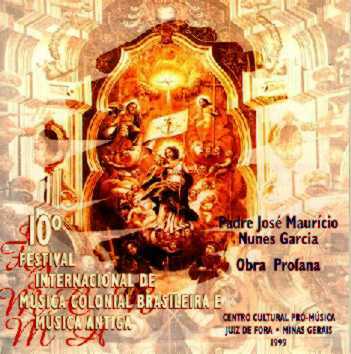 with the UFRJ Symphony Orchestra and Choir, directed by Maria José Chevitarese; Veruschka Mainhardt, soprano; Carolina Faria, mezzo-soprano; Geilson Santos, tenor; and Maurício Luz, bass. 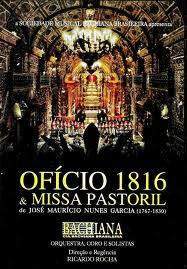 Conducted by Ernani Aguiar. 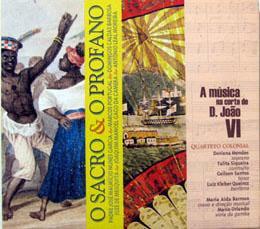 with Quarteto colonial, directed by Maria Aida Barroso; Doriana Mendes, soprano; Talita Siqueira, contralto; Geilson Santos, tenor; Luiz Kleber Queiroz, bariton; and Mário Orlando, viola da gamba. 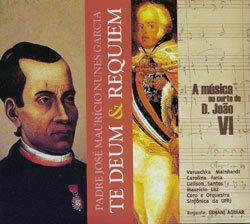 with the Brazilian Symphony Orchestra and the Rio de Janeiro Symphonic Choir, directed by Júlio Moretzsohn; Rosana Lamosa, soprano; Lívia Dias, soprano; Adriana Clis, mezzo-soprano; Fernando Portari, tenor; Homero Velho, bass; and Rafael Thomas, bass. 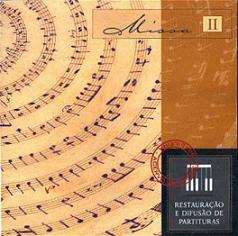 Conducted by Roberto Minczuk. 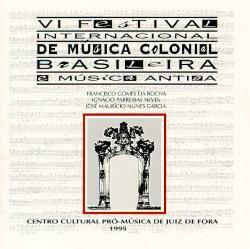 with Americantiga ensemble, conducted by Ricardo Bernardes. 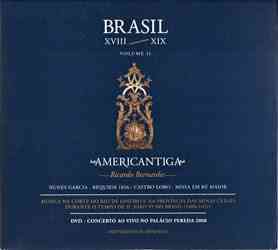 with the Choir and Orchestra of the Cia. 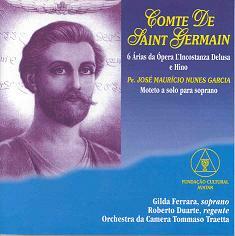 Bachiana Brasileira , Paloma Lima, soprano; Carolina Faria, mezzo-soprano; Ewandro Stenzowski, tenor; Pedro Olivero, bass; Michele Menezes, soprano; and Ana Cecília Rebelo, soprano. 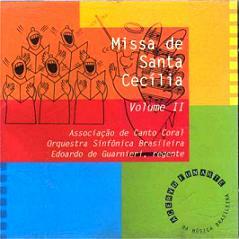 Conducted by Ricardo Rocha. 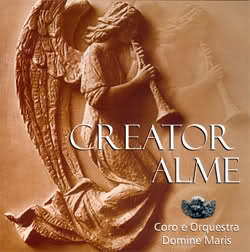 with Coral Porto Alegre, directed by Gisa Volkmann, and Orchestra. 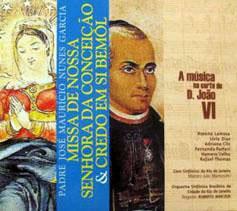 Conducted by Ernani Aguiar. 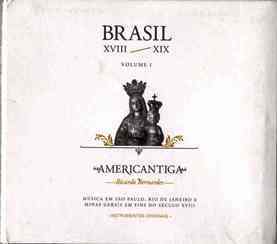 1 ENDER, Thomas. 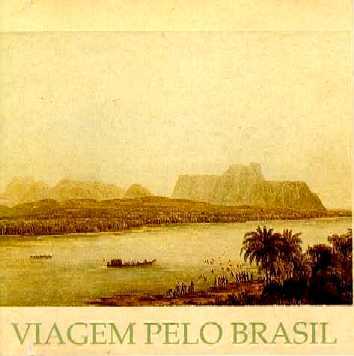 Viagem ao Brasil nas Aquarelas de Thomas Ender [A Travel to Brazil in Thomas Ender's Watercolors]. 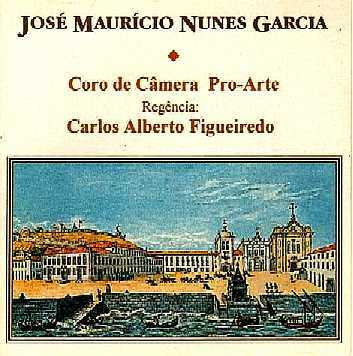 Presented by Robert Wagner and Júlio Bandeira. 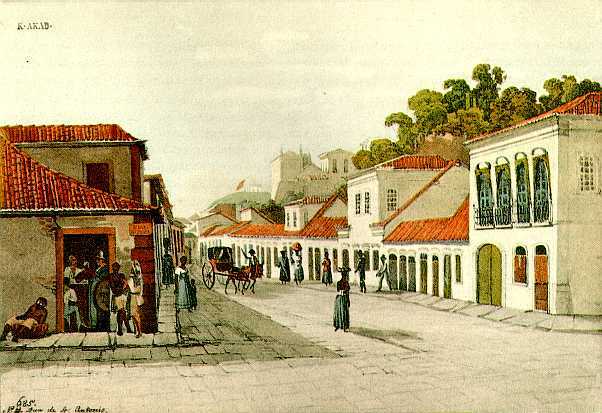 Petrópolis: Kappa, 2000. v. 2, p. 369.